Homeowners on Wilmington Island can rely on American Craftsman Renovations, a Savannah Georgia general contractor for the following services: kitchen remodeling and renovations, bathroom remodeling and renovations, home additions, structural repairs, roofing services, and historic restorations. For all your kitchen remodeling and renovation needs on Wilmington Island, you can rely on American Craftsman Renovations, your local Savannah Georgia general contractor, to get the job done the right way the first time. From minor enhancements such as new counter tops and new backsplash to reconfiguring your kitchen with custom cabinets and a walk in pantry, we can help you create the kitchen you have always wanted. Create a bathroom that you will enjoy using each and every day with Wilmington Island general contractor American Craftsman Renovations. Homeowners can renovate their master bath, guest bath, hall bath or all three with our expert general contractor. From replacing your vanities and enhancing your space with new tile to reconfiguring your room we can help you accomplish your bathroom remodeling or renovation goals. Homeowners in Wilmington Island looking to increase the square footage of their property can rely on American Craftsman Renovations for Wilmington Island home additions. We can help you create the space you need for your growing family. Don’t worry about relocating to a bigger home and leaving behind your friends and forever home, let us build you the extra bedroom and bathroom, office, or family room addition that you need. Wilmington Island homeowners that are in need of structural repairs made to their home can rely on Savannah Georgia general contractor American Craftsman Renovations. Through our many years in business, or commitment to quality work, and our vast understanding of Wilmington homes, we are able to provide you with the absolute best structural repair services in Greater Savannah, ensuring your home is safe for you and your family. 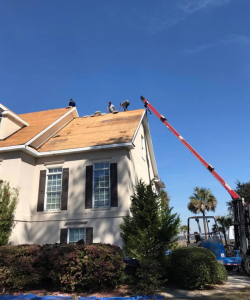 American Craftsman Renovations also provides roofing services to homeowners on Wilmington Island. Our general contractor can provide minor repair work, if you have damaged shingles or a small leak, to replacing your entire roof if it is damaged beyond repair or simply old. 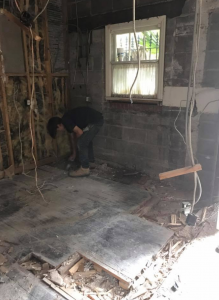 Wilmington Island historic homeowners that are looking to start their restoration process can achieve their restoration goals with American Craftsman Renovations. We are committed to providing you the best customer service and quality craftsmanship on your historic restoration. We want to help you create an inviting living space for your family while ensuring your homes foundation is secure.